In 2011, IBM’s work-at-home program saved about 6.4 million gallons of fuel and over 50,000 metric tons of CO2 emissions. A Stanford study found work-at-home employees were 13 percent more productive than working in-house. Marissa Mayer’s recent decision to end work-from-home arrangements came under a lot of scrutiny as it implied a negative connotation to telecommuting. Although there were questions of how Mayer’s decision would affect the future of work, most companies are still very much in support of hiring remote workers. Although there are valid concerns for managing remote workers, there are many benefits to allowing this option. Whether you’re hiring an entire team of work-at-home employees or adding a few members to your team, consider the following benefits to hiring remote workers. 1. 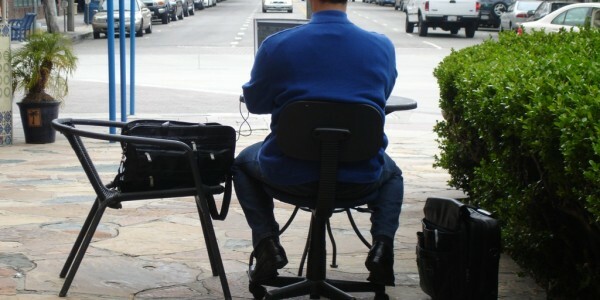 Considering remote workers expands your talent pool. What if your best employee doesn’t live locally? You may never find out if you don’t keep the employee search open. If you’re in need of a specialized position, and there isn’t enough talent in your area, hiring a remote worker could be your best option. This lets you employ the best and brightest not only in your area but in your industry. 2. Hiring remote workers saves money on overhead. When you don’t have to pay for office space, utilities, office supplies, and enough internet bandwidth for employees, allowing telecommuters can be an ideal option–especially for small businesses. You could also save on health insurance and payroll taxes if you hire them as independent contractors. Your employees also save on transportation, food, clothing, and childcare. This could provide happier, healthier employees in the long run. 3. Remote workers are more engaged and productive. For the U.S. Patent and Trademark Office, allowing employees to work from home is working quite well. Of its 11,000 employees, 63 percent of them telework. As a result, the average remote worker spends 66.3 more hours per year working than office-bound counterparts. This data busts the myth that remote workers aren’t productive. Allowing your employees to work from home could improve overall workflow as they wont be distracted by office noise and deskside chats. ← Is Tumblr the Social Media Site for Your Message?